Buhari, Osinbajo, Tinubu, Aregbesola absent at APC Ondo rally. The crisis rocking the Ondo State All Progressives Congress came to the fore on Thursday as top officials of the party including President Muhammadu Buhari were absent from a scheduled rally. 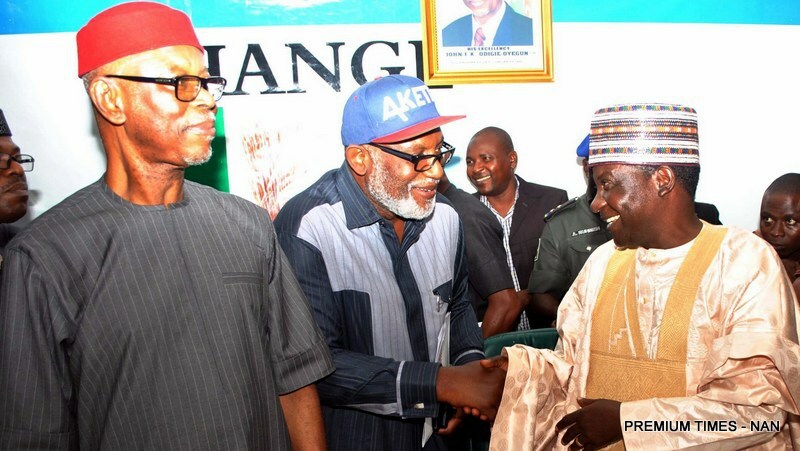 The rally was organised by the Ondo APC to flag off the campaign of Rotimi Akeredolu, its candidate for the November 26 governorship election in the state. Apart from Mr. Buhari, other notable absentees were Vice President Yemi Osinbajo, former Lagos governor Bola Tinubu, and governor of neighbouring Osun State, Rauf Aregbesola. The event commenced on Thursday morning at the Democracy Park in Akure, the Ondo State capital. Introducing the dignitaries present in order of protocol, the National Organising Secretary of the APC, Osita Izunaso, said Mr. Osinbajo was represented by his Chief of Staff. Some serving ministers are also present at the rally.